A lovely mermaid adorns this antique inspired cameo pendant. 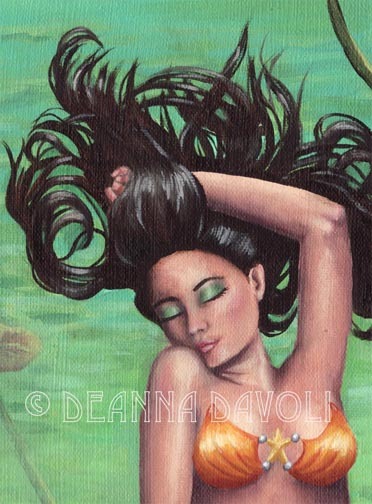 The serene mermaid sleeps in the depths of a cool pond. Surrounded by koi fish and lily pads she rests during the day. She makes a lovely gift and addition to your home, office or childrens room.